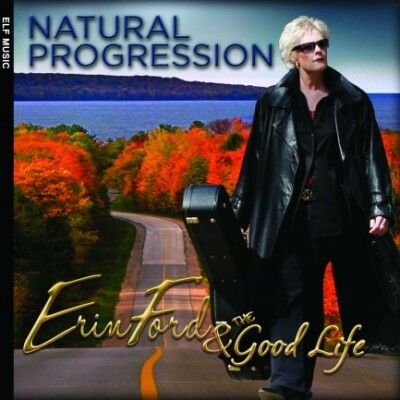 Natural Progression, recorded by Erin Ford at ELF Music Mississauga, Ontario. Lead Vocals Recorded by Chris Hess at Chess Sound, Toronto. Secondary acoustic guitar parts for three songs and keys for one song recorded by Sammy A at Somerset Records, Toronto. Mixed by Chris Hess & Erin Ford at Chess Sound. Mastered by Phil Demetro at Lacquer Channel, Toronto. Some of Toronto’s finest freelance musicians play on this record. 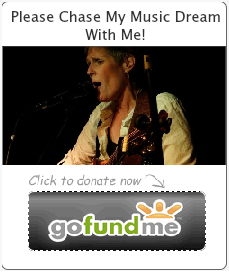 12 diverse original songs written by Erin Ford inspired by her love of 70’s music and the many genres of music she has been exposed to in her life. Inspirational pop rock with a vintage vibe. Real music, real musicians, a truly human feel album with great messages and grooves. Larry Crowe Drums (Track 1, 2, 3, 9, 10, 11, 12), Phil Reaney (Track 4, 5, 6, 7, 8); David Tonelli Bass (all Tracks except 6), Brian Emon Bass (Track 6); Bill Evans Piano & Organ, Omar Ales Lead Organ (Track 10) & Synth Strings (Track 11); Dave Honan Lead Guitar (all Tracks except 2), Jeremy Kelly (Track 2), Gord McOuat (2nd Lead Guitar Track 8); Mike Skinner Sax, Flute & Horn Arrangements, Phil Gray Trombone, Dave Dunlop Trumpet; Don PartyON & Larry Crowe Percussion; Liz Tansey, Shelley Hamilton (Track 4, 6, 10) & Leigh Ford (all Tracks except 4) Backup Vocals. © 2017 ELF Music. All Rights Reserved.